Kat is a Chartered Legal Executive and Partner in the firm and combines her unique depth of legal expertise and technical knowledge to lead the Debt recovery team’s IT and compliance unit. Specialising in process design, compliance and data security, she is responsible for the on-going development of the team’s IT systems and processes; delivering tailored collection systems, management information and reporting for clients. Her expertise includes working with government bodies, insurance companies, utility companies and other businesses to provide collection systems and statistical information to support their business needs. 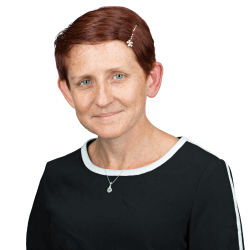 Kat joined Clarke Willmott in 1997 and is a member of the firm’s Information and Security Management Forum, helping to ensure the firm maintains the highest possible security standards. Data analysis to assist a policy review of affordability for a major client. Process review and improvement to support clients’ extranet/file transfer systems and facilitate the secure, real-time exchange of case instructions and information. Development of our extranet capability to allow the secure exchange of case instructions tailored to each client’s individual needs.